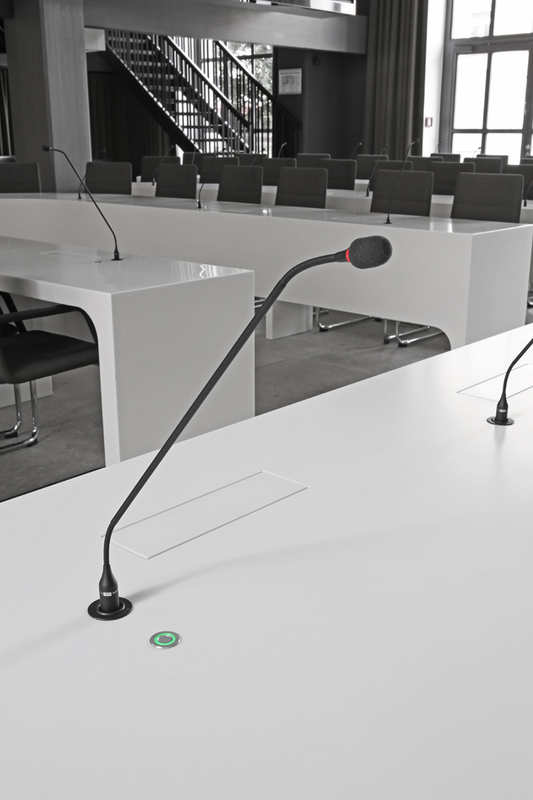 Meetings in the town hall of the Daimler city of Schorndorf are held using the latest conference technology from beyerdynamic. 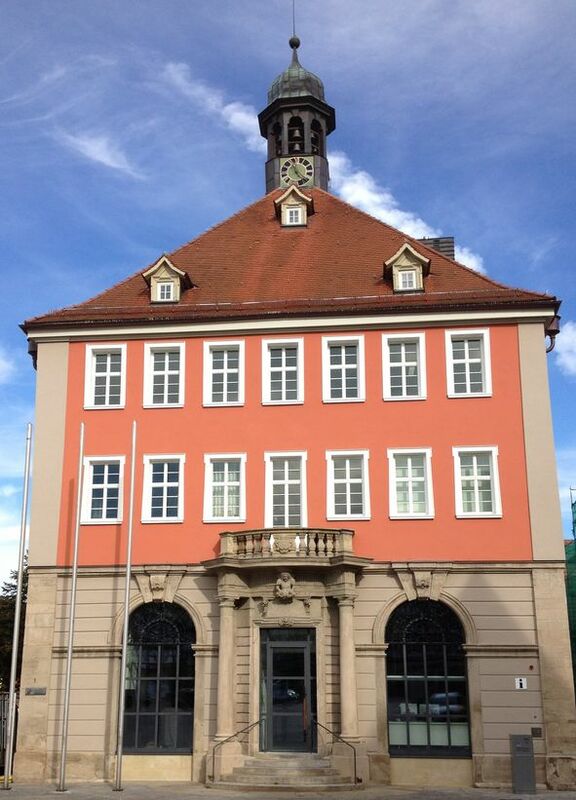 The listed Baroque building, which was constructed in 1730, was converted into a modern administration building in 2012. While converting the boardroom the technology was also renewed. The oak coloured furniture and the mess of cables of the microphone system between the tables were removed. White tables and a discreet conference system were installed. The wired MCS 50 conference system from beyerdynamic allows an unobtrusive permanent installation. The technology is completely hidden under the table. Only the gooseneck microphone and a silver button with an LED ring of the microphone unit are visible. In order to record meetings, the steno-s 4 conference software is used. The software ideally complements the beyerdynamic conference system and makes the preparation and follow-up of a meeting easier. It is not only used for recording meetings, but also for marking important events such as items of the agenda or decisions before, during and after the recording to structure the course of the meeting and to refer later to certain contents for the minute. 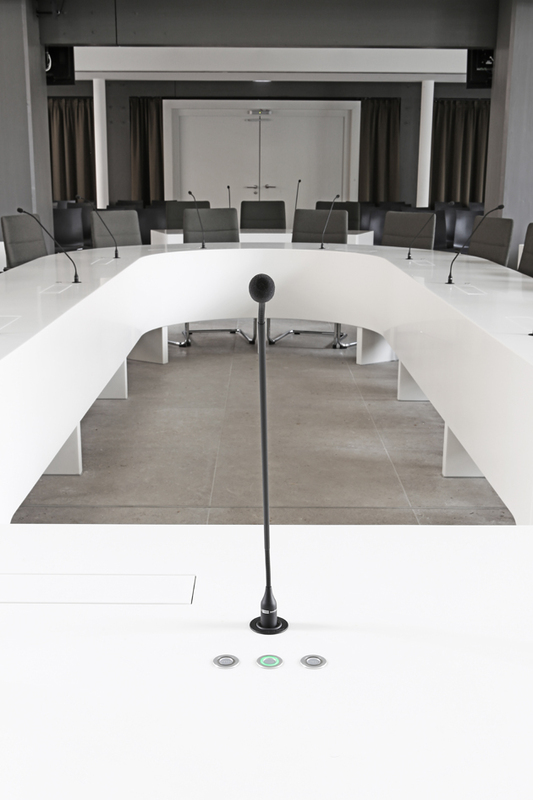 A lot of other town halls are already provided with technology from beyerdynamic such as the town halls in Bad Friedrichshall, Cologne, Tuebingen and Kassel.